Feature: Maintaining integrity of any product while sampling and or using is made easier with professional disposables. 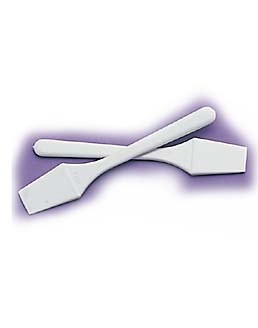 Usage: Our economy 100 pack of short sampling spatulas provide a comfort at home or travelling. Maintain integrity of color, product and saftey. Danielle supports safe and saftey thingking.